AARP shares a United States Aging survey from 2012 that our clients/families still agree with today. *Approximately 90% of seniors plan to “age in place” but some of our clients find it increasingly difficult as time goes by. *Scheduling a Caregiver to help with daily tasks once a week and if necessary increasing help temporarily or longer term (that’s what we do very well). 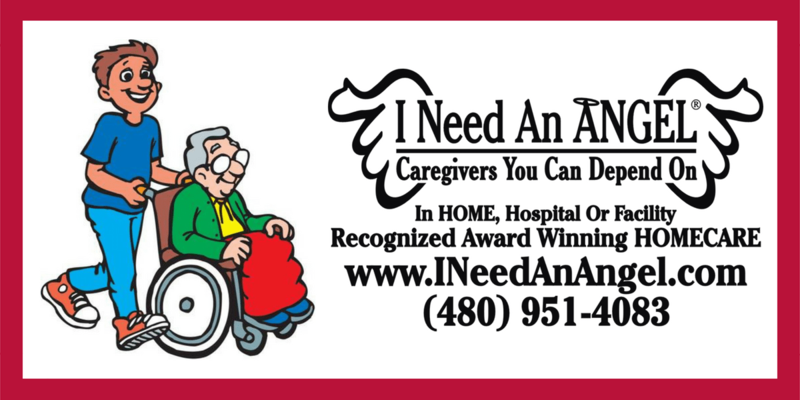 However, family may begin to feel like they need more than Home Care services and that they want staff and nursing options to be available within a moments’ notice and Scottsdale and Phoenix is filled with many beautiful Assisted Living communities with many appealing amenities. Did you know we can help you through the many options and transition decision for Assisted Living as well? *We know a lot about the behind the scenes you should know before making a decision. *We can help you look at all the options/big picture and organizing from a place of ease and tranquility. We recently helped a 10 year Client transition to a lovely Assisted Living home. Whether you are looking for home care or weighing the options of a group home, Assisted Living or skilled nursing we are here for you and will use our experience and ability to anticipate needs to get through it all. *Most extensive interview process so we know what you truly want the outcome to be. *We make recommendations based on your preferences not what facility is trying to fill beds. *We tour the home options WITH you. *We notice what most don’t. *We access history and employee satisfaction so you know who has consistent staff and why. *We connect you with low cost but very valuable resources that will not only appraise but make suggestions about what to do or not to do to get the best sales value for your home – when selling. *We connect you with resources for packing, moving and selling and setting prices for items you decide you don’t need any more. *We offer companion support before, during and after the move when it seems overwhelming to make all of these decisions or get all of this done. *Remember the last time you moved? Even when someone is looking forward to the move it still brings stress and lots and lots of time and energy to get everything done. What many people don’t realize is that moving for a Senior can be even more stressful than expected -especially if they are not looking forward to the move. The move might create a wave of grief because it might feel like losing the past, leaving memories behind and/or losing freedom/control. their new environment. While other’s that are more reserved, private and/or introverts and/or really like the routine, they have always enjoyed, might struggle more to adapt. Sort of like going to college- not knowing exactly what to expect, where things are, who you might meet, if you are going to like it here and if you made the right decision. All of this is a lot to think about. It is important to reduce the amount of stress during a move/transition to prevent a decline in overall health, as well. We can help with all that. Many Assisted Livings facilities have incredible opportunities for social activities, meet n greets, craft/art/ dancing event, dinners or making new friends at meals. Isolation often leads to depression and anxiety. The longer time goes by without some connection or participation with others to engage in events, socializing or making a new friend or two with other residents/staff the more the concern for health related issues to arise. Here are some other ways Caregiver’s and families can help. * Find events or hobbies the Clients might be interest in. *Caregivers can also provide transportation to outside social events: like theatre or shopping or fun trips. What if you want to stay home until the end of days? Can it be done? Yes, Home Care services absolutely help support a Client stay in their comfortable environment forever. Many people decide that being home is the most important thing to them. All of our services are available at home, hospital or facility-temporarily or long term including Non-Medical and Medical/ Nursing services to support individuals no matter what their level of health is. We also assist in setting up and working alongside Hospice Services even when a client is completely bedridden and requiring full care-we can be there. We manage a little or a lot and everything so you don’t have to, based on your preferences. We can change that as you need us to. Every situation is unique and we are here to support you, stop by our office or give us a call (480) 951-4083. Always Happy to Help support our community.